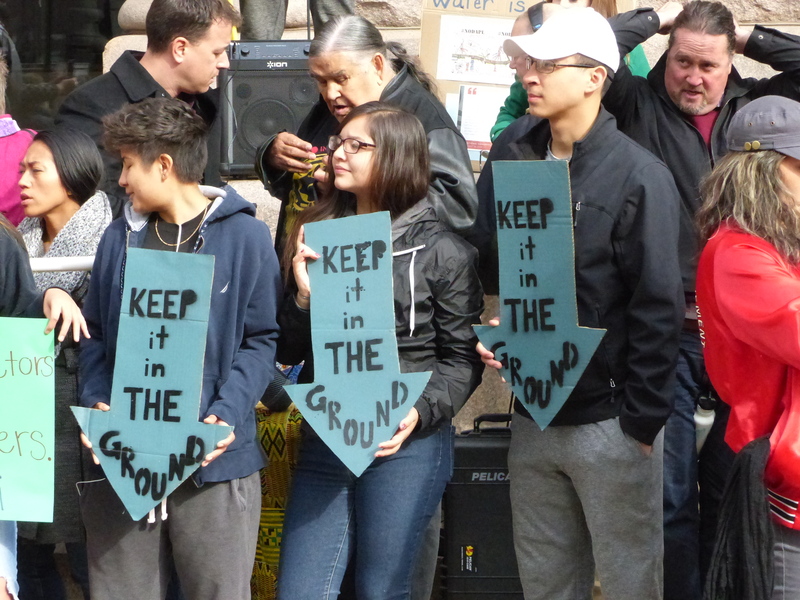 Indigenous leaders are calling on us to take to the streets and disrupt “business-as-usual” and demand that President Obama’s Army Corps of Engineers and the incoming administration stop the Dakota Access Pipeline — and all those after it. Details: Tuesday, Nov. 15 at noon at the Army Corps of Engineers Centre, 180 5th Street East, St. Paul. Event page here. Mennonite Central Committee, Central States. Those sponsoring this event include: Indigenous Environmental Network (IEN); Honor the Earth; 350.org; Native Organizers Alliance; National Nurses United; Greenpeace USA; Food and Water Watch; Daily Kos; Natural Resources Defense Council; Sierra Club and Friends of the Earth. Remember, too, that tomorrow (Saturday) several fundraisers for the Water Protectors are being held along Franklin Avenue. For information on a recently released United Nations report on the situation near Standing Rock, keep reading. Chief Edward John, an expert member for the UNPFII, visited the Oceti Sakowin Camp and surrounding area from Oct. 29-31, and spent time in dialogue with people who were willing to share their experiences and views. I was further told that those arrested were treated with respect, fed, clothed and their medical needs attended to. Law enforcement officials denied allegations of human rights violations or abuses. This story from Washington State is a reminder that the issues at Standing Rock are replaying in many other parts of the world, where the long-term protection of the environment is pitted against short-term financial gains. Puget Sound Energy is seeking to build a liquefied natural gas plant in Tacoma, WA. The proposed facility would chill natural gas to produce approximately 250,000 gallons of liquefied natural gas (LNG) daily. The Puyallup Tribe opposes the plant due to its potential impact on water and the environment. Statement on the proposed LNG facility by the Puyallup Tribe. “After taking leadership in opposing – and ultimately defeating – a proposed methanol plant on the boundaries of their reservation this year, the Puyallup Tribe of Indians now again stands firmly the liquefied natural gas (LNG) plant slated to be built, again, on the Tribe’s reservation boundaries at the Tacoma tideflats.